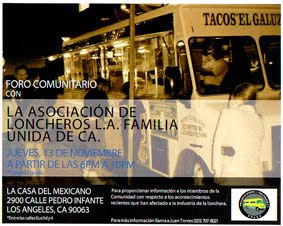 Tacos El Rey De Oros parks at the corner of Whittier and Arizona Ave in the belly of East Los Angeles. Head east on Whittier Blvd from here and you will run into a wave of Raspado trucks selling those ice cold slushes topped with fruit and cream. On a hot day there is nothing better. Just west of here is the Evergreen Cemetery. At Tacos El Rey De Oros tacos are only 75c each. Three tacos and a can of grape soda was $3. The pastor and asada tacos came fully loaded and topped with onions, cilantro and a light spicy chile salsa. I preferred the asada which was a classic LA street taco with finely cut beef and just enough grease to keep the tortillas hot. 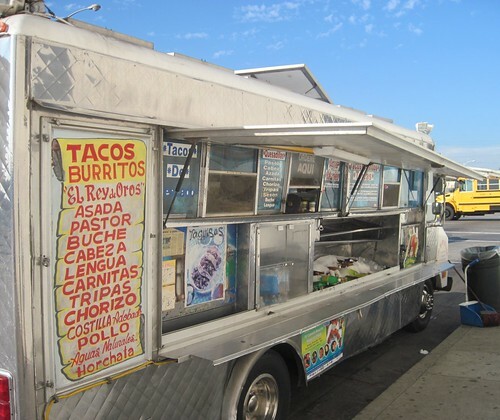 During the day Whittier Blvd has a few roaming taco truck but the area really comes alive at night when the taco trucks and wagons can set up shop without having to worry about the parking police. 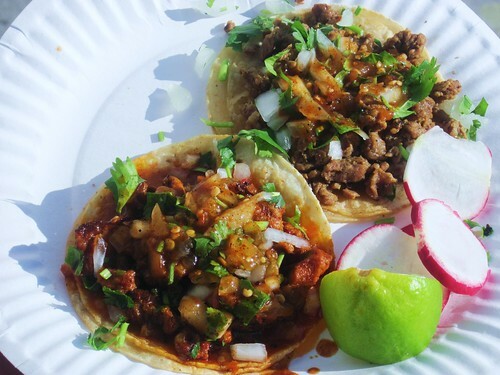 The unofficial taco mecca of LA is less than 3 miles to the west and the famed Tacos Baja Ensenada is about a mile east on Whittier. 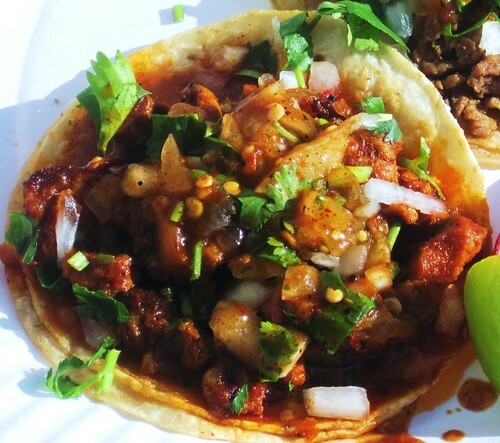 There is no shortage of great tacos in the area and at 75c each there is no shortage of great deals. hell yeah I loved this tacos right next to echo park excellent salsas and taste in every bite, keep it real rey de oros!!!! !